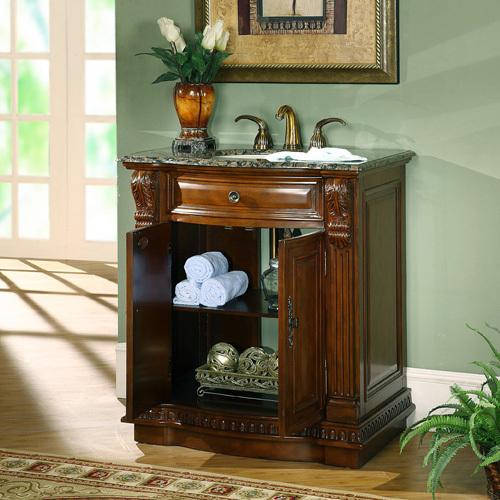 The Umbria Single Bath Vanity features eye-catching details and antique brass hardware, giving this vanity a sophisticated atmosphere. 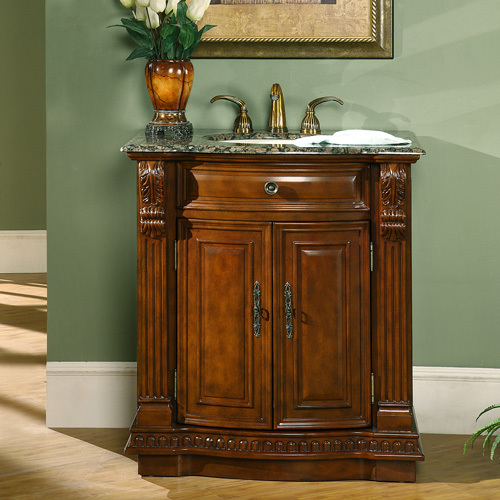 The Baltic brown granite counter top is pre-drilled for faucet installation and includes an under mount ivory ceramic sink. 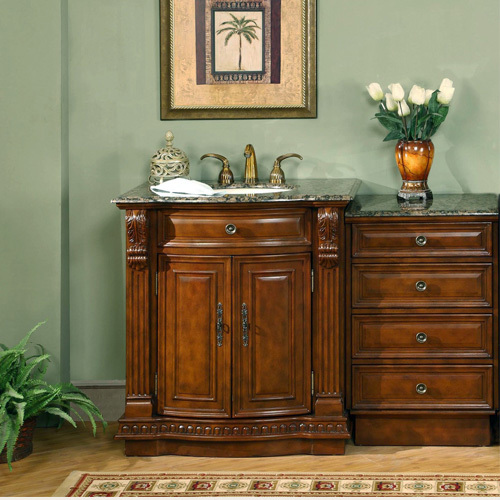 The sink cabinet itself provides double door storage with shelving. 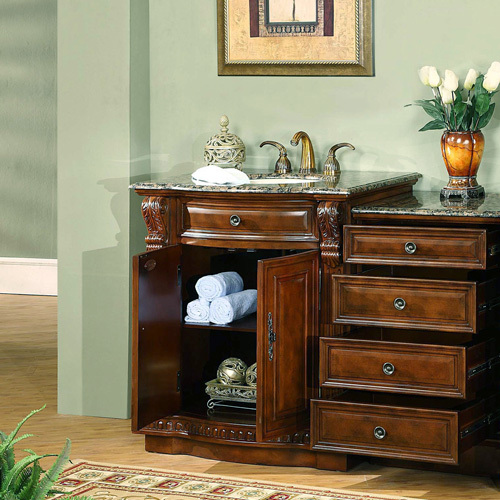 For additional storage, an optional drawer bank with matching finish and counter top provides four more drawers. Faucets sold separately.